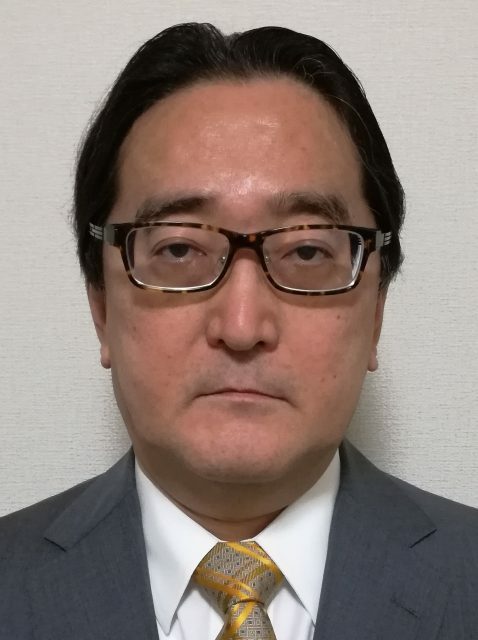 As of October 1st, 2018, I began my role as the new director of the Research Institute of Higher Education (RIHE), as successor to Prof. Yosuke Yamamoto. Today, the university has entered an era of significant reform worldwide, and science and technology (S&T), too, are entering an era of great transformation. Both universities and S&T have also been subject to harsh criticism from broader society. More than ever universities and S&T are required to be open to society, to fulfill their responsibility to society, and to meet societal expectations. In such an era of change, significant issues are imposed on higher education research. What is the essence of these changes? How should the university move forward? What role should the university play in S&T enterprises? RIHE has the longest tradition among Japan’s research centers in the field of higher education studies and has formed a worldwide network. We intend to challenge the problems facing higher education today, working in cooperation with experts in various fields both inside and outside the country. RIHE was established in the old downtown campus in Hiroshima city in 1972. Since then, surveys and research on international higher education systems have been continuously undertaken from a variety of viewpoints. Now more than ever, social interest in higher education continues to increase in the context of severe inter-university competition under environmental changes such as the decline of the 18-year-old population, globalization, the continuation of austerity measures, and social stratification. Various issues which require urgent attention are increasingly evident. RIHE will seek to clarify the problems of the higher education system in Japan through its cutting edge research, the results of which will help us to propose immediate measures to solve them. While working on these urgent issues, we intend to promote basic research as well as collaborative research with people from various specialized fields. RIHE also offers graduate programs. Today, students from Japan and elsewhere in Asia are learning together about the field of higher education studies. Many of our graduates are working as academics at various universities across the country, and some of them are full-time administrative staff in Hiroshima University and other institutions. We offer courses at night, during weekends, and intensive courses during summer or winter break. 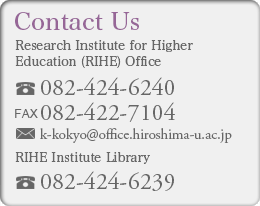 RIHE has established a reputation among scholars, policy makers, university administrators, and graduate students from Japan and abroad, as a leading center of higher education research. This reputation could not have been earned without the tremendous efforts of all our colleagues. As always, we at RIHE welcome recommendations and encouragement from colleagues within other Japanese universities, and those in other countries, as part of our continuing commitment to research and scholarship.